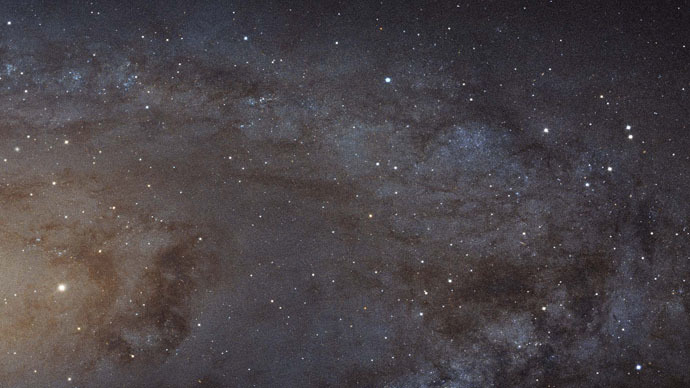 Astronomers have discovered a vast supervoid measuring 1.8 billion light-years across. They believe this will provide new insight into the remaining mysteries of the Big Bang. The massive spherical blob known as the supervoid may be “the largest individual structure ever identified by humanity,” according to lead researcher for the project, István Szapudi, of the Institute for Astronomy at the University of Hawaiʻi at Mānoa. “Using data from Hawaii’s Pan-STARRS1 (PS1) telescope located on Haleakala, Maui, and NASA’s Wide Field Survey Explorer (WISE) satellite, Szapudi’s team discovered a large supervoid, a vast region 1.8 billion light-years across, in which the density of galaxies is much lower than usual in the known universe,” a press release stated. Furthermore, the Cold Spot, discovered in 2004 and believed to be radiation left by the Big Bang, has become a mainstay in models explaining the impact of the Big Bang on the universe. The Cold Spot's size and temperature, though, were an anomaly. The massive empty region at its center, might explain the Cold Spot’s existence, the new study suggests. Kovács added that the supervoid is not a vacuum, but rather it is 20 percent less dense than other aspects of the universe. “Supervoids are not entirely empty, they’re under-dense,” he said. Despite such a rare discovery, the supervoid ultimately complicates the explanation of the Cold Spot, astronomers say. In addition, the supervoid only accounts for around 10 percent of the Cold Spot's low temperature. The study was published online on April 20 in Monthly Notices of the Royal Astronomical Society. “While the existence of the supervoid and its expected effect on the CMB [the cosmic microwave background, or Big Bang] do not fully explain the Cold Spot, it is very unlikely that the supervoid and the Cold Spot at the same location are a coincidence,” the press release stated.